Friendship bracelets are a familiar childhood relic that bring back memories of long days at summer camp and bonding with your new best friend. 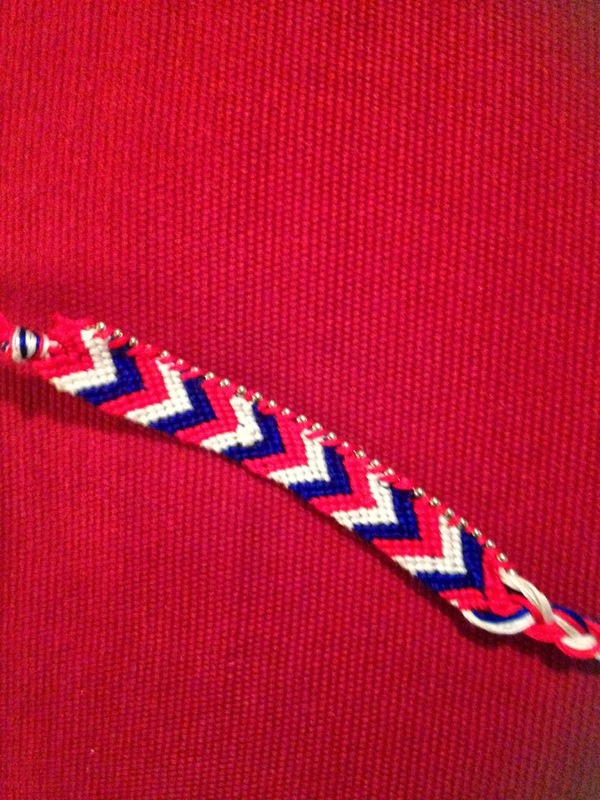 Although you might think these belong in the past, the friendship bracelet has reemerged as a major fashion accessory - vibrant colors, intricate designs and unique embellishments have transformed child's play into serious adult style. 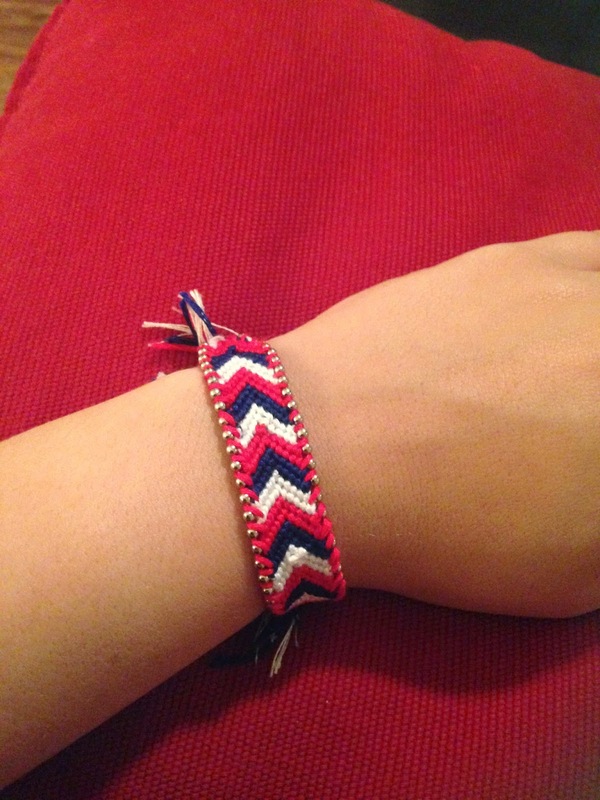 Before you rush out to buy these bracelets (which can top out at more than $20 each! ), consider taking a nostalgic trip down memory lane and making your own with a twist! 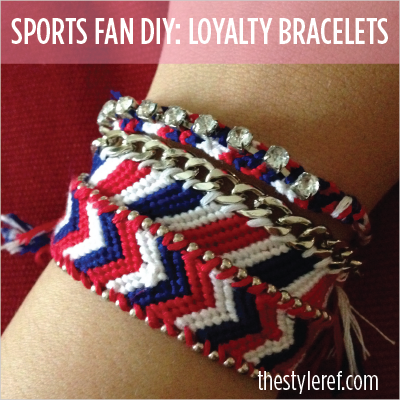 Use your favorite sports team's colors to make The Style Ref's Loyalty Bracelet, the fashionable sports fan's take on the traditional friendship bracelet. 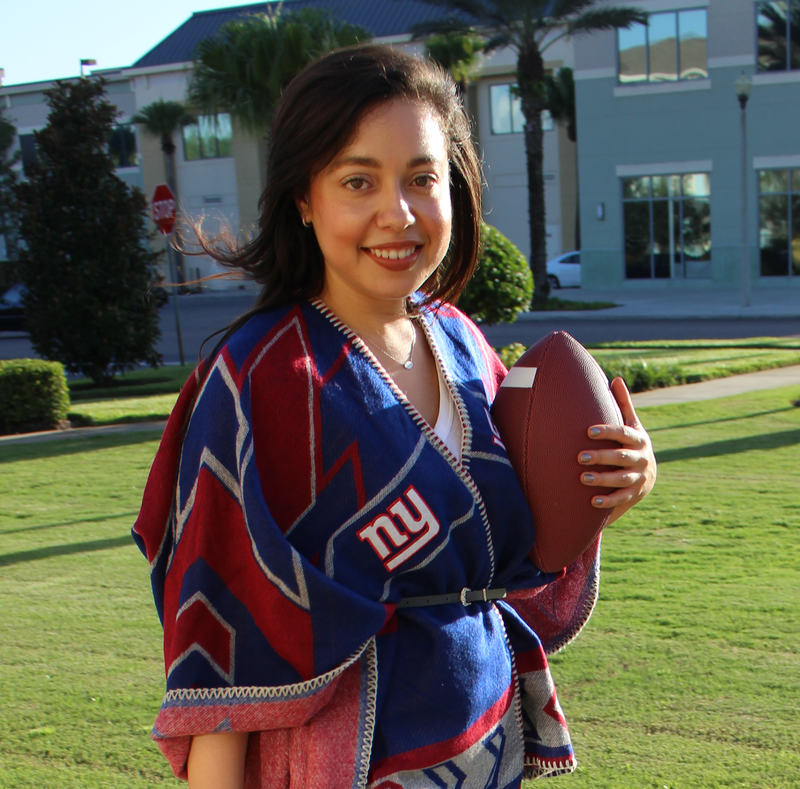 For best results, make a few different styles and layer them for a fun gameday look. 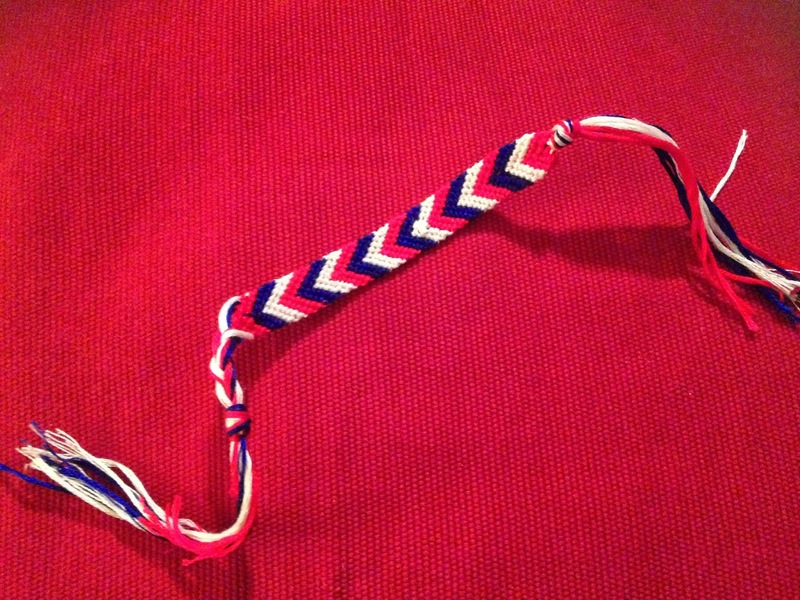 Everyone will ask where you got those cool bracelets and you'll be proud to say you made them. Choose three colors. Cut 4 strands of every color measuring 24" each. Follow the instructions here to create the chevron pattern (you'll be surprised how quickly it comes back to you!). 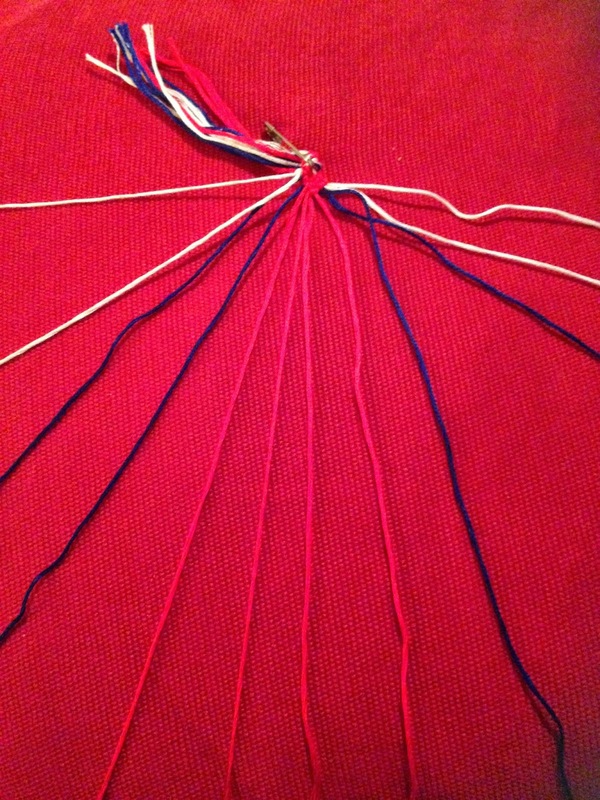 When you get to the end, tie a knot where the pattern ends and braid the strands. 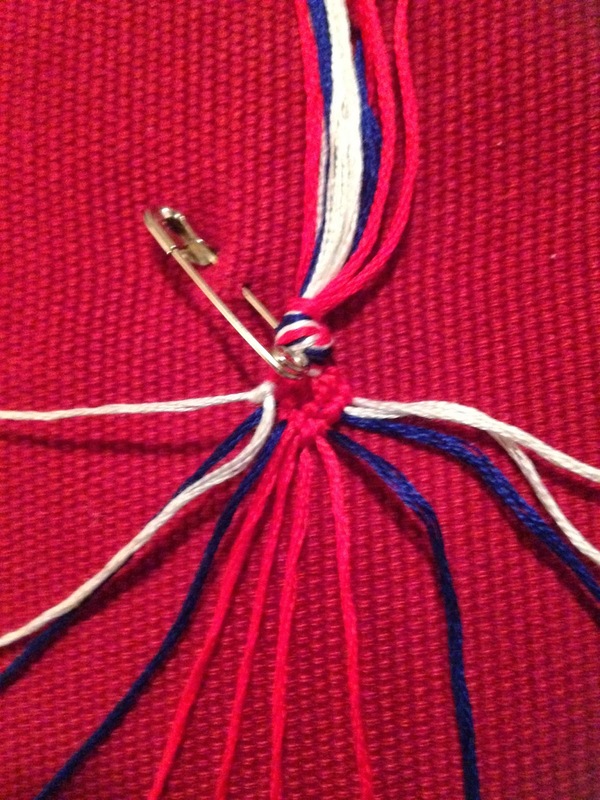 Then top it off with another knot near the ends to prevent fraying. Now, the fun part! 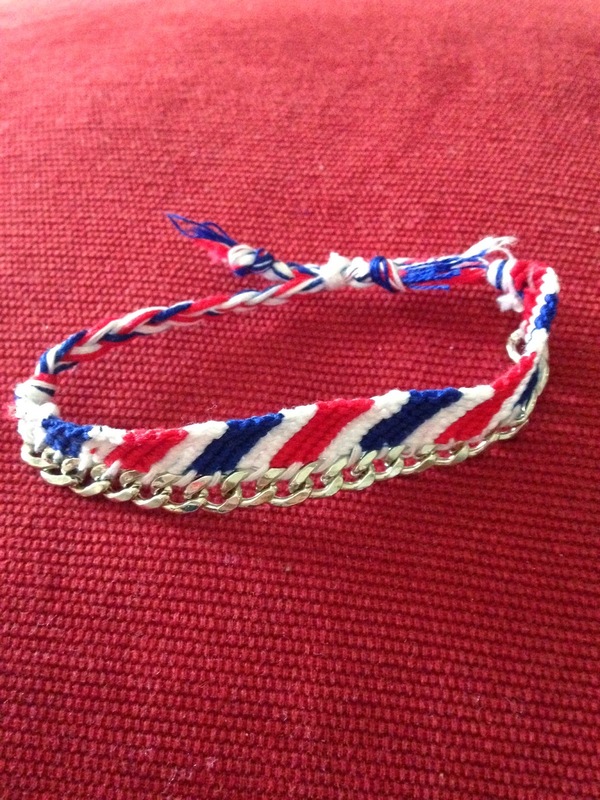 Measure and cut two pieces of ball chain that run the full length of your bracelet pattern. 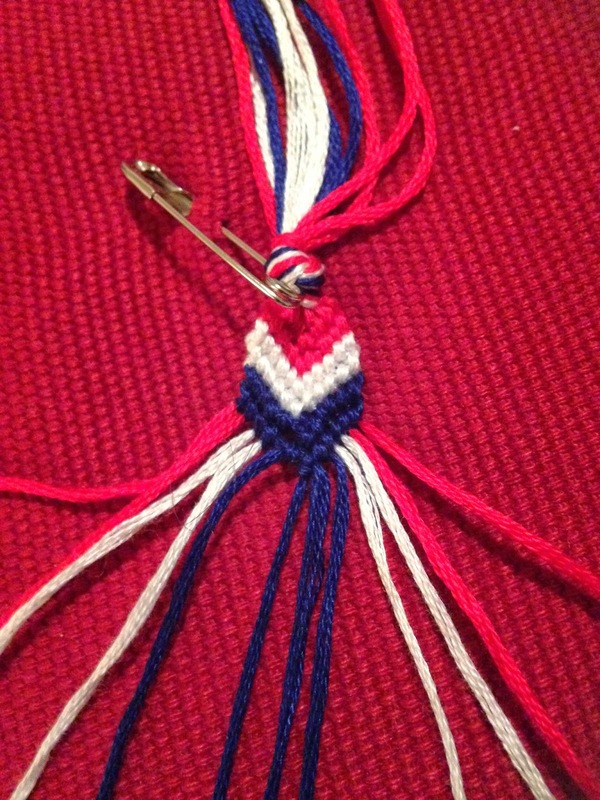 Thread your sewing needle with your color of choice and hold the ball chain against the edge of the bracelet, starting at one end and stitching in an over-under pattern through the spaces between each ball. Continue until you reach the end. Repeat on other side. The last step is to create the convenient fastener that adjusts to any wrist size and makes it easy to slide the bracelet on and off. Click here for a brief tutorial. 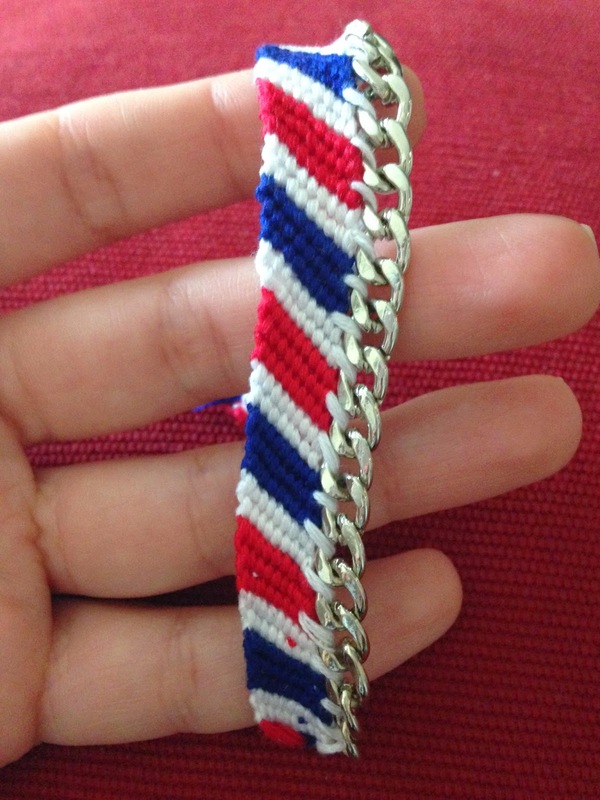 This bracelet was inspired by a DIY on Honestly WTF. 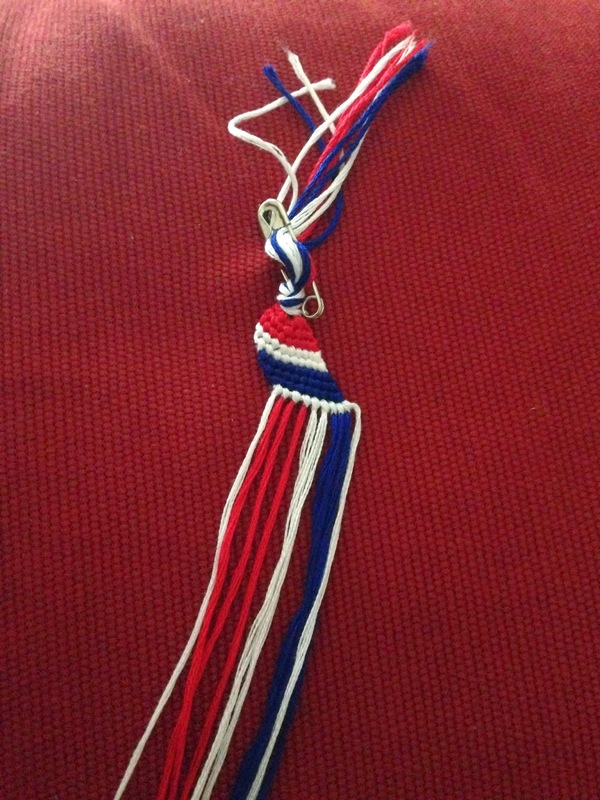 Click here for instructions to create the diagonal pattern and here to attach the chain link. 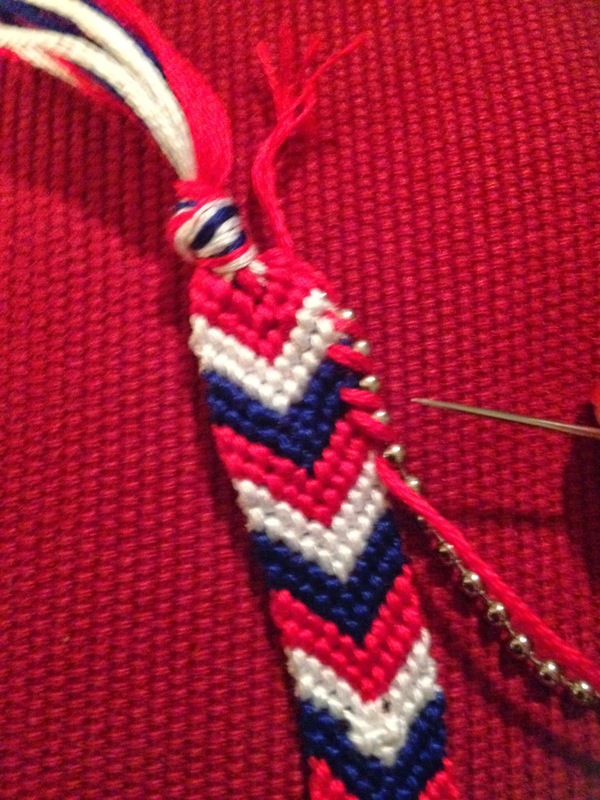 The process is very similar to adding the ball chain in the Chevron Bracelet. 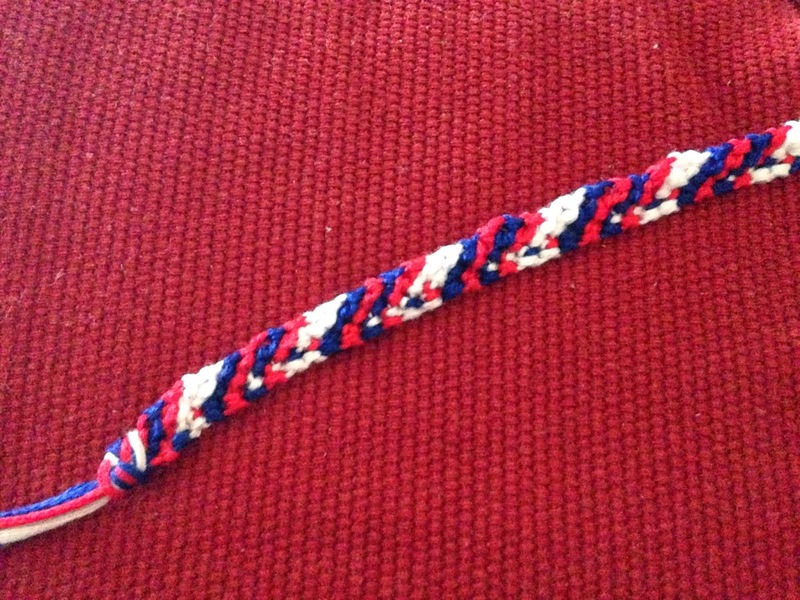 Use at least 9 total strands for a wide bracelet; the more you use, the wider it will be. Lastly, create the adjustable fastener. This last style adds a little glitz and glamour to the traditional friendship bracelet with the addition of a strip of rhinestone chain. TSR used the Rag Rug pattern to mix things up, but you can use whatever design you like best. 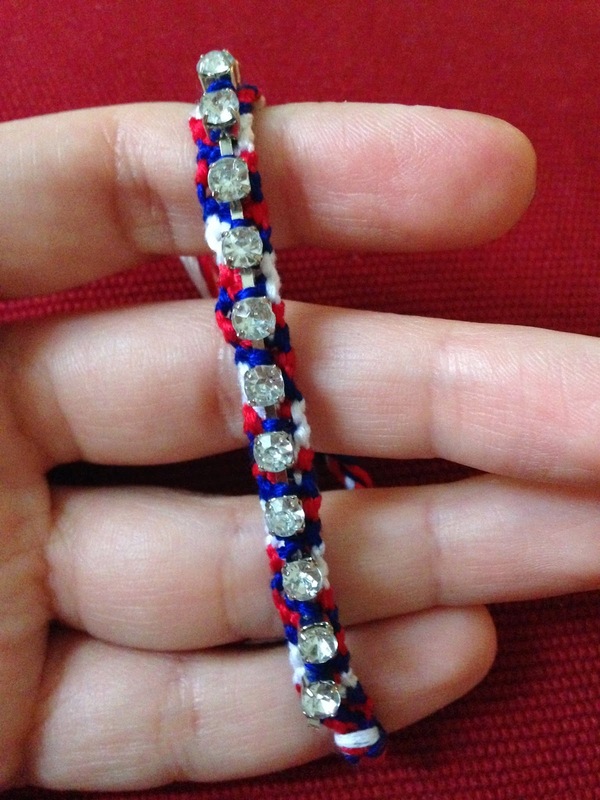 Once you're finished making the bracelet, cut a strip of rhinestone chain that measures the full length of the pattern. 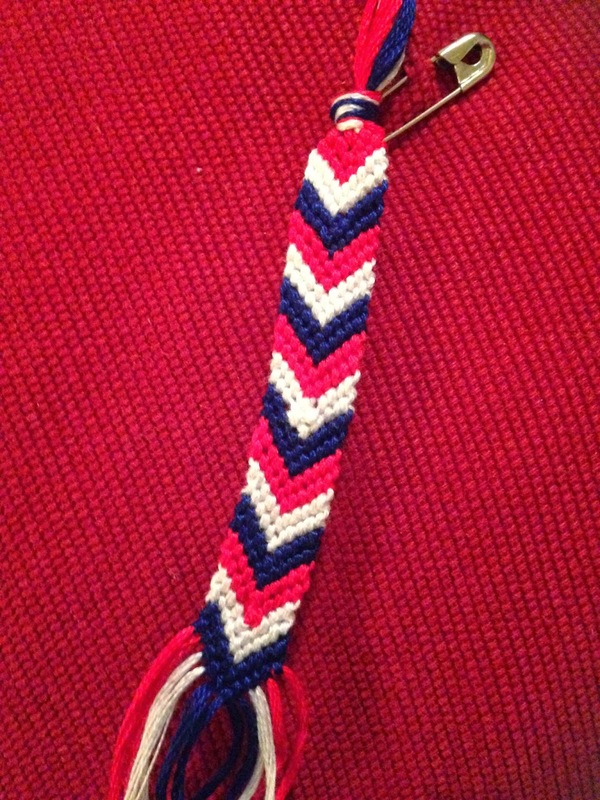 Thread your sewing needle with your color of choice and lay the chain along the middle of the bracelet. 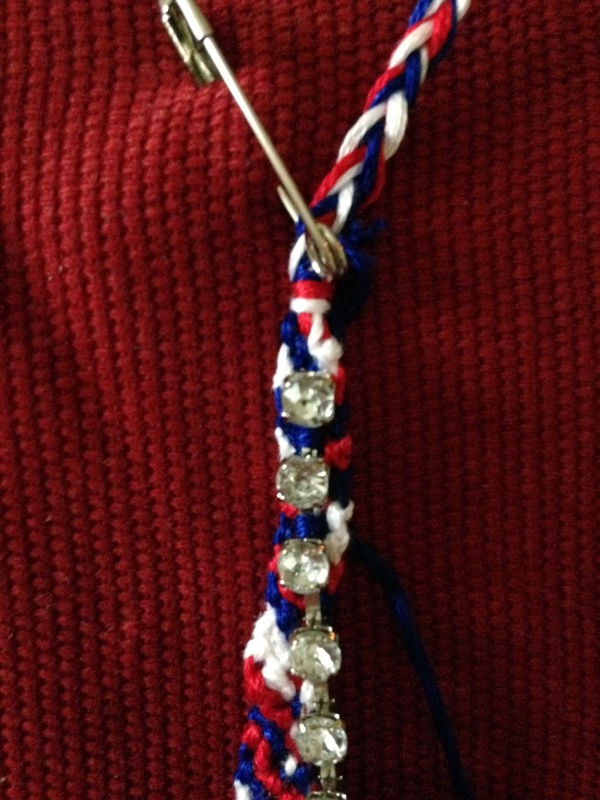 Start at one end and stitch between the first two rhinestone links, continuing down until you reach the end. Click here for more detailed instructions with photos. To finish, create the adjustable fastener. 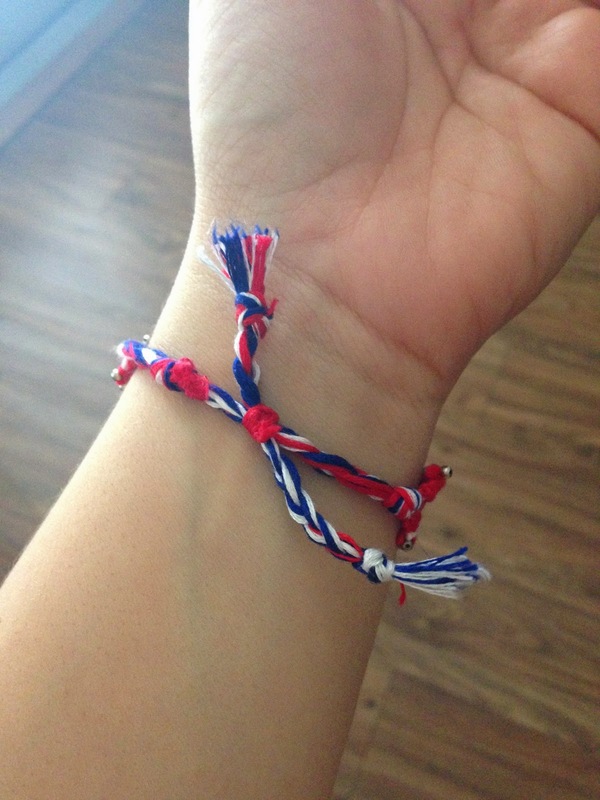 Want to make your own Loyalty Bracelets now?! It only takes a couple of hours to create this covetable arm candy for your gameday wardrobe; you can even listen to music or watch your favorite TV show while you get crafty. Plus, the supplies are inexpensive or easy to find around your house. The hardest part is figuring out which one to make first! Which bracelet is your favorite? All of them are beautiful, mostly in blue and white stripes.